Seems like every day we hear more reasons NOT to like Kanye West.We think Anna Wintour should have ejected him from the Met Ball for wearing torn jeans to the strictly black tie event. In NOT doing so, she reinforced his belief that he is SPECIAL and rules don’t apply to him. We have long heard that he tells his wife Kim what to do and she obeys. Now his former bodyguard has dropped a few nuggets of information about his ex-boss. The guard was fired after speaking directly to Kim. 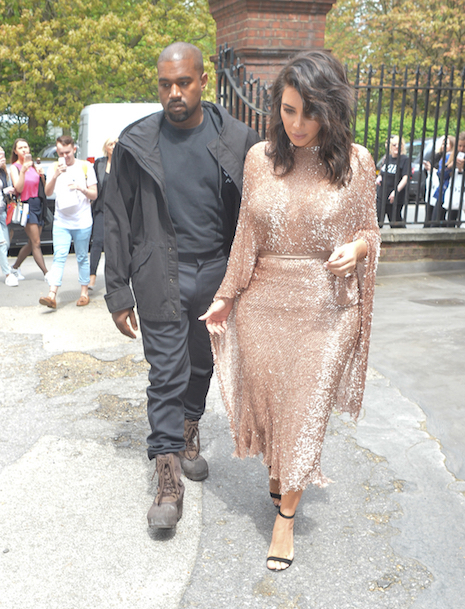 The guard told The Sun that Kanye is incredibly condescending and totally self-absorbed. He doesn’t speak to or acknowledge his security staff. When they watch him at dinner in a restaurant, he NEVER offers them so much as a glass of water. Other celebs often have guards eat at the next table. People around Kanye indulge him and walk around on eggshells, hoping not to set him off. His handlers apologize for him. The security guy cannot imagine why Kim stays married to him. It seems that manners and respect are not a part of Kanye’s life.